If you have applied voter id online and want to check your voter id status or want to print your voter id. 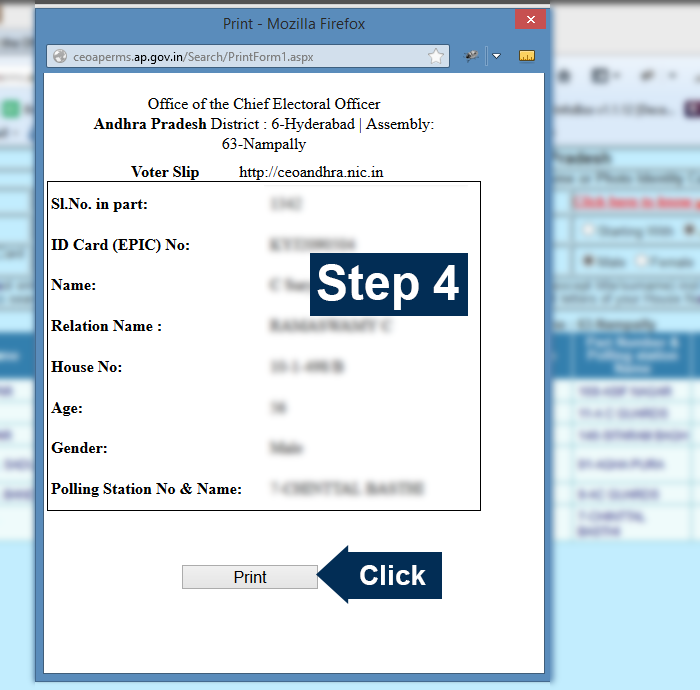 you can download voter id card with in few seconds. you can get your voter id from your nearest e-seva also. You view your voter slip. click print to take a print by printer, you can print voter slip only , not an voter id..
You can deposit a copy of the FIR lodged at the Police Station. 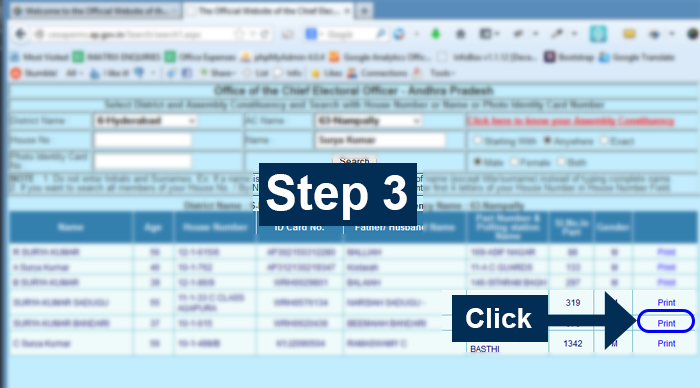 Then voter slip details give to nearest e-seva kendram and you can get your voter id from e-seva with nominal fee below 50Rs. Solution Download my voters I’d card. check your voter id status, if it is pending for long time , contact with toll free number ( find in official website ),If the status is clear, you get all details in your status…where should get voter id card i.e epic number , e-seva branch name etc. I could not found my id. in new lists. plz help me….. I Radheshyam Jaiswal have votar card no. , my origin votar card is lost, but i have votar card no. can i take printout dublicate copy of votar card. If you lost your voter id card you can get another voter id, give complaint in police station ,with that report goto in your nearest e -seva kendram. ( give your epic number or you give your details, they verify in online , issue the voter id with a nominal fee i.e below 50 Rs. If you lost your voter id card you can get another voter id, first you complaint in police station , with that report you can apply for new voter id in your nearest e -seva kendram. ( give your epic number or you give your details, they verify in online , issue the voter id with a nominal fee i.e below 50 Rs. Last month was update link of Smart Ration Card of Tamilnadu. 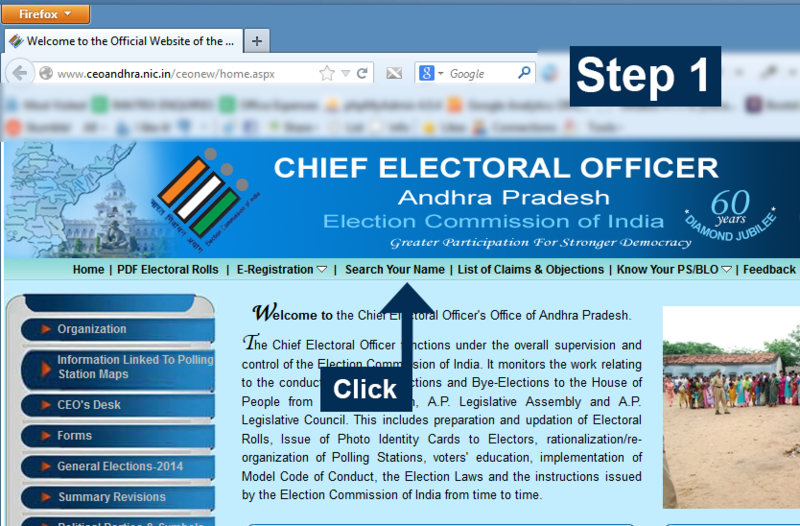 You have to download voter id from the official website of your state.